Mural Unveiling for 3 Kings Day! German Dubois is the project manager, the 20 artists have come from all different cities and background to support Puerto Rico by getting awareness out as to the current state and need for continued support. This mural is one of Wynwood Largest and is the first Mural Park. Special Thanks to Louis Wolfson II for his vision and to the Miami Foundation, Act 2 and Mission Continues. 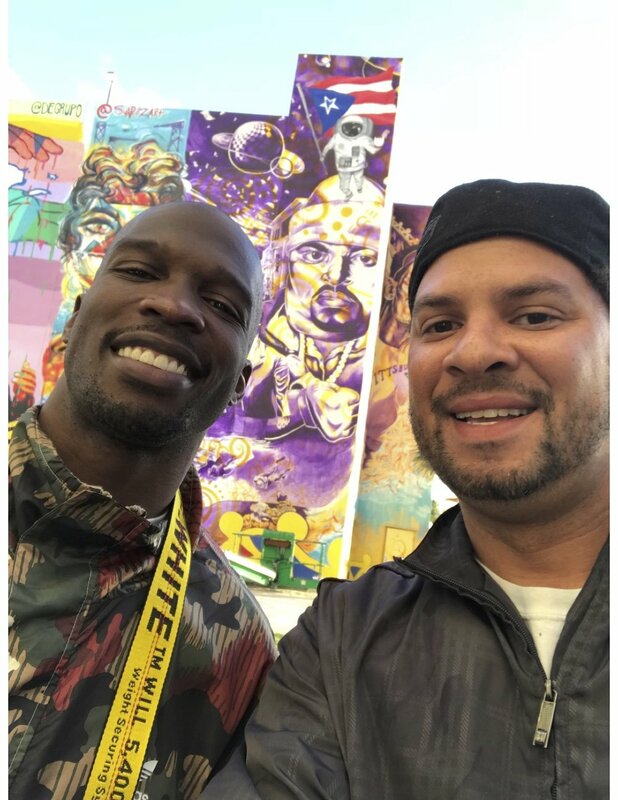 6-9PM at 2400 NE 2nd Ave.
Chad "Ochocinco" Johnson and Kyle Holbrook at the Puerto Rico Hope mural, Ochocinco was artistically shooting photography of the mural when KYLE SAW HIM, THATS WHAT "ARTWORLD" IS ALL ABOUT!!! ACTOR PABLO AZAR INFRONT OF HIS MURAL HE PAINTED FOR "PUERTO RICO HOPE" multi talented in several genres is what it means to be in "ARTWORLD"!! @PuertoRICOHOPE or call German Dubois 646-302-0163, for information how to Help!